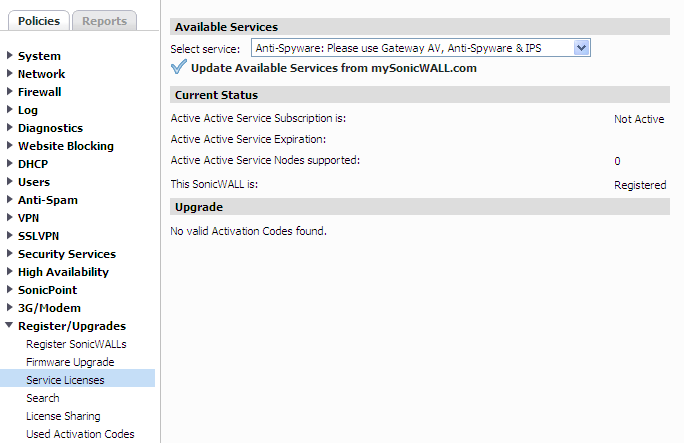 We sometimes get asked to move the SonicWall back to the partner’s MySonicWall account so they can add an activation key, but in reality you should be able to add your own keys, even while the firewall is inside Virtual Administrator’s GMS MySonicWall account. 1. Take note of the current Subscription Status on the Policies> System> Status page. 2. 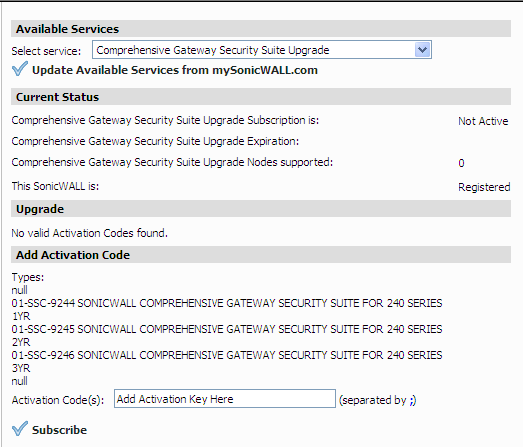 In the GMS console go to Polices> Register/Upgrades> Services Licnses. 3. Use the drop down box to select the Subscription Service you want to add the activation key. 4. 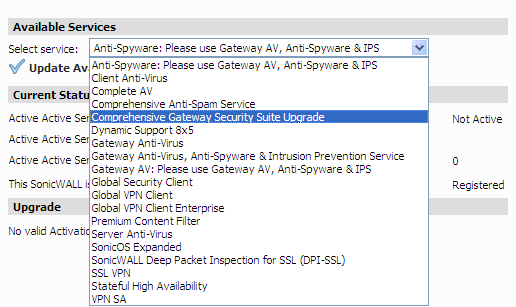 Once “COMPREHENSIVE GATEWAY SECURITY SUITE” is selected compare the Part No. you have for the unused key with the “Types” on the “Add Activation Code” section. Make sure they match. Here we are adding a “01-SSC-9244”. Type in the code and Click “Subscribe”. 5. Click “Accept” in the pop up box. 6. You should see 6 entries recorded in the firewalls GMS log. Scheduled Task for Immediate Execution: SECB. Action = subscribe. Scheduled Task for Immediate Execution: Refresh Unit Licensing. 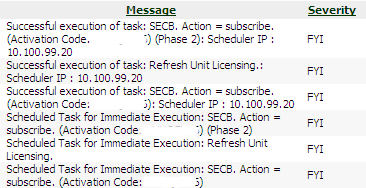 Successful execution of task: SECB. Action = subscribe. Successful execution of task: Refresh Unit Licensing. 7. To view the log go to the Policies> System> Status page and click on the “Last Log Entry”. After clicking you should see similar logs in the GMS log. 8, Finally, in a few minutes the current Subscription Status should reflect the update. If the dates do not update please look for errors in the GMS log and open a ticket with VA support. The most common problem is trying to add the wrong key – i.e. Part No. does not match Type.